Konbanwa, Nippon. First of all, I would like to say that it has been an incredible experience living this in such an amazing country. And I would like to say that if I was crowned or elected Miss International 2016 tonight, I would like to show that beauty is not— is about having a good heart. About continually seeking for opportunities to develop yourself as a person. About being a leader through example. And about using your unique qualities to serve, contribute, and influence others through [many] ways. I would like to contribute to this role by promoting the values of respect and tolerance. We need a world that values and appreciates diversity of cultures, and believes that there are. And I believe that the only way to do it is through tolerance, respect, and acceptance. Domo arigato gozaimashita. Minasan, konnichiwa. Thank you. I am deeply honored to be here and I would like to thank Miss International Organization for hosting this beautiful event. 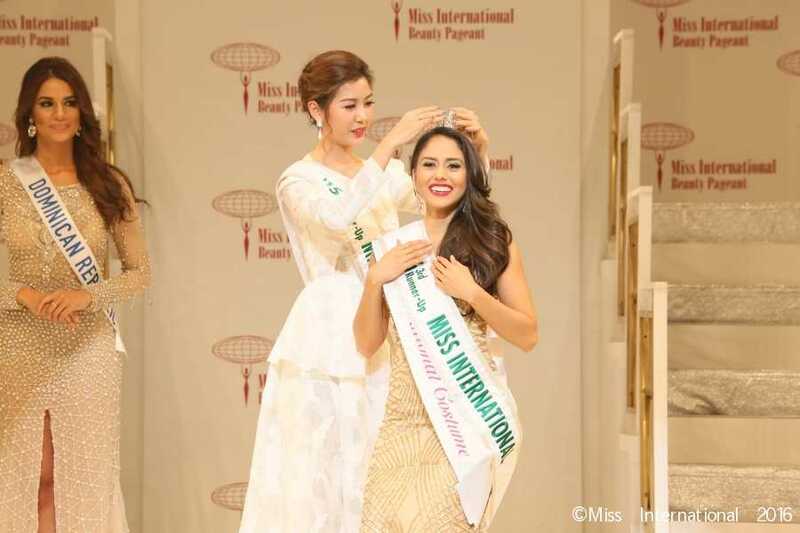 Miss International symbolizes the core values that every woman should possess: love, dignity, and respect for diversity. I am confident that I’m able to uphold the duty of Miss International by bridging the spirit of goodwill and peace to all nations. Why [is] unity in everything so important? It’s because the world has been faced with wars, terrorism, and culture tensions. And this [is] causing millions of people to suffer. We have enough wake-up calls. It is time for us to change the culture of war, and let us respect each other, and embrace diversity for a better future. Douzo yoroshiku onegaishimasu. This organization was founded to promote goodwill between all people. But how can we truly make a difference? To answer this, I’ll tell you a story that my father has always told me. At 211 degrees Fahrenheit, water is really hot, but, at 212 degrees, water starts to boil. And boiling water causes steam, which can power a locomotive or even an entire country. And what was the difference? Just 1 degree. And all of us can be that 1 degree to inspire change in the world. I know I can be that 1 degree to inspire change in the world as well. If chosen, please send me on long-term charitable missions for my entire year. I want to pack my work boots, put my hair in braids, and work hard to bring hope to every community around the world. Because to me, hope is disaster relief. Hope is social justice, equality, and freedom. Hope is service to humanity. And service gives purpose and meaning to human life. 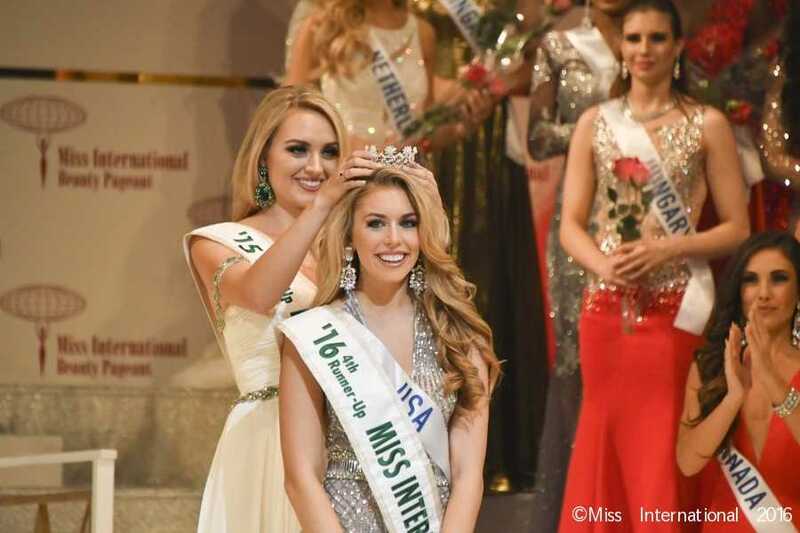 I want to represent Miss International with a year of service to bring hope, goodwill, and greater understanding to every community around the globe. Arigato gozaimasu. 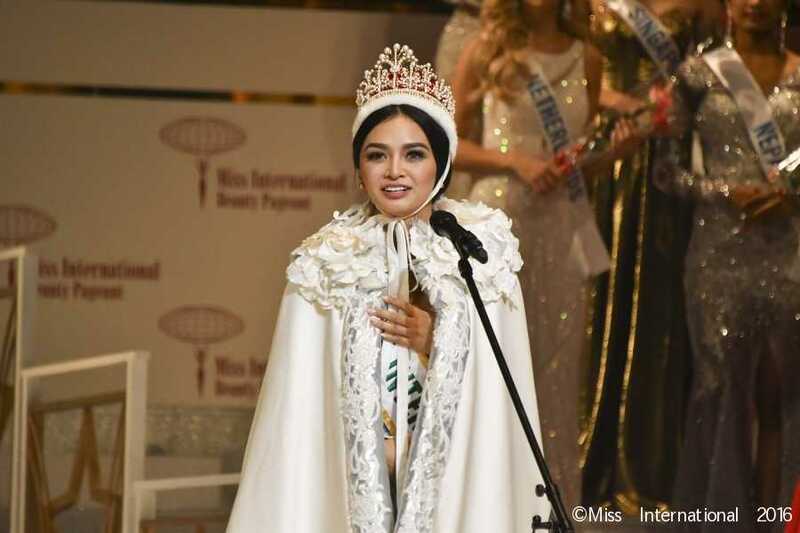 Three things come to mind when I think of Miss International: culture, education, and international understanding. These three work together to make the brand, the Miss International beauty pageant, relevant to the global community and to our time. If I become Miss International 2016, I will devote myself to cultural understanding and international understanding. Because I believe that this, developing in each of us sensitivity to other cultures, that we expand our horizons, tolerate difference, and appreciate diversity. All this enables us to achieve international understanding, and I believe I am prepared to take on this responsibility. Domo arigato gozaimasu. Konnichiwa. 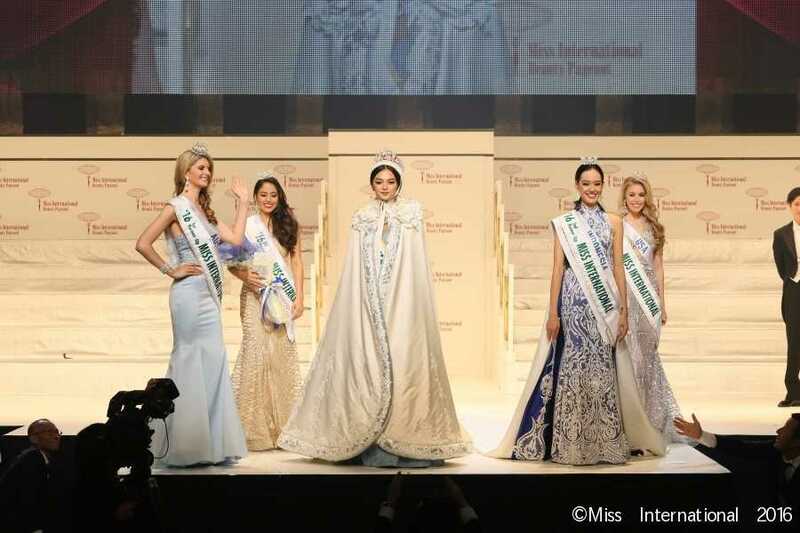 Firstly, I would like to thank the Miss International Organization and Japan. I’ve loved every minute of my time here. Every woman here represents her own country, her own culture. And everyone is different from the next. It is our differences that makes the world a more exciting and beautiful place. Being an educator, I have a love of learning, and a passion to spread the message of love and acceptance, to embrace diversity, especially, to our younger generation. As Miss International 2016, I will inspire the young, in the hope that they will help to shape our world into the world that it should be. A world of acceptance, love, peace, mutual respect, and understanding. Arigato gozaimashita. Moshi moshi, Nippon koku. 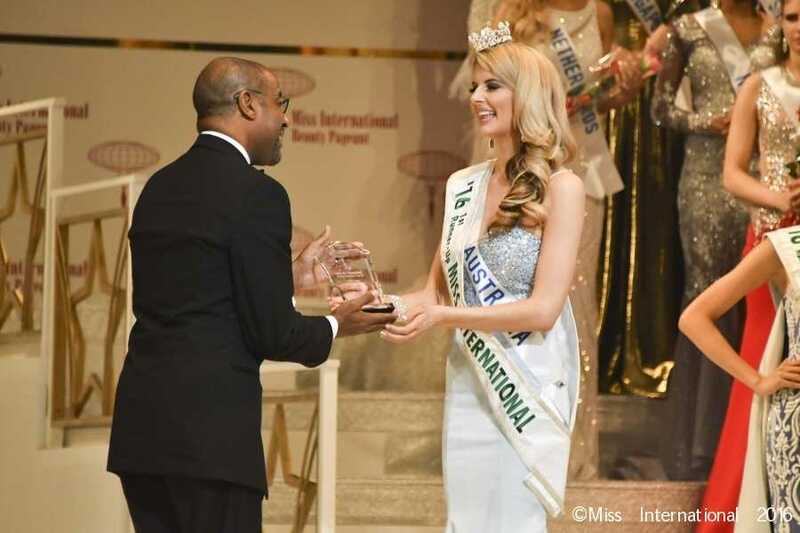 Miss International is an ambassador, not just of one nation, but of all the nations in the world. I believe that I am capable of becoming an ambassador who upholds the values of equality and understanding between nations. The world has gone through trying times this past year, but if we work together, accepting our differences, we can impact our generation and beyond positively. Domo arigato gozaimasu. 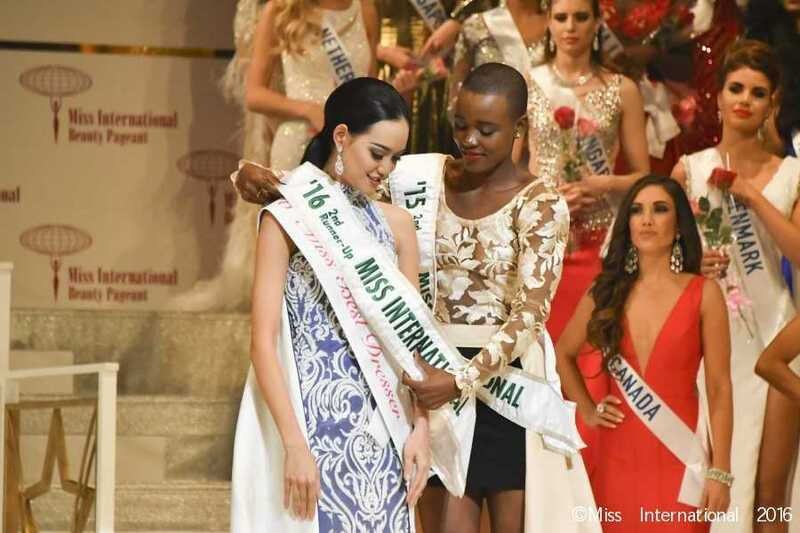 Who gave the best speech at the Miss International 2016 beauty pageant?